Can you tell me where do i go for publishing options? There is no arrow beside the green publish button. I am trying to point my site to yola and i need to publish it but i cant when i dont have the option to use a domain already paid for. The publishing process has changed a bit with our latest Sitebuilder release. 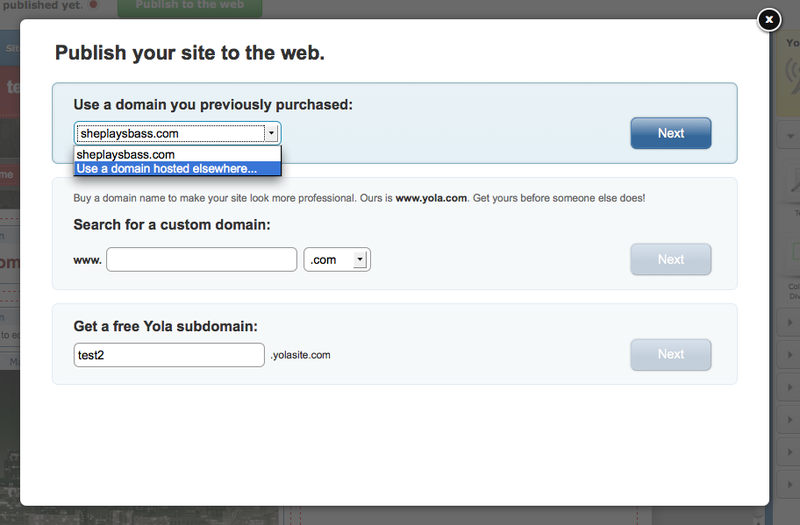 When you click on the green "Publish to the web" button the top option is "Use a domain you previously purchased". If you click the down arrow you will see the option to "Use a domain hosted elsewhere". If you choose this option, and click "Next" you will be able to enter your domain name. I hope that will help.